Parents supporting through passion make a huge difference in the passion that their children show for any sport or any activity. Passion is the key and defining first indicator of a future star in any sport. Passion is the inner motivation that drives an athlete to do the long, hard hours of practice that are necessary to really build that passion. Most superstar athletes have had Dad’s that are either very passionate about the game, really giving it some love in their eyes, or highly competitive athletes themselves. Dad’s can help their children do better not by telling, but by showing passion. Any time you show love for the game, speak positively about an athlete in that sport, you are showing passion. Parents can support through gaining knowledge, which is an important pillar. The more knowledge the parents have on what the skills look like, how to build expertise in the sport, how to increase physical attributes, and eat to eat properly for athletic performance, the better their children will become. 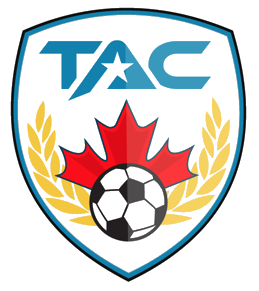 At TAC Sports, we really seek to have the parents gain as much knowledge as possible, providing our 5-Star Development Plan and Progress Reports, and also our Youtube Channel which helps demonstrate and explore each of the skills.